World Efficiency is a new event, taking over from Pollutec Paris (as was). World Efficiency will take place, and alternate with Pollutec Lyon, every 2 years on odd years, in Paris. The first edition was launched in 2015, the year that COP21 was hosted in Paris. The format of the event is also different as it is based on an exhibition and a congress as it relates to emerging economic models and markets that still need to be debated, traced and articulated on a theoretical basis while illustrating practices and stakeholders. These event basics call for strong public and private cooperation, especially on the basis of “Think Global, Act Local” as the mainstream action plan. Contextualisation is indeed a great part of the event that does project itself on international perspectives: solutions will necessarily be adapted to specific contexts and vary from developed to developing countries (geography, economic, geopolitical, social and societal variable conditions). In this perspective, cities will be at the centre of the event in terms of enhancing their pioneering green policy and concrete actions (as cities also represent the most powerful carbon emitters, they have greatest leverage and potential to reduce their carbon footprint). 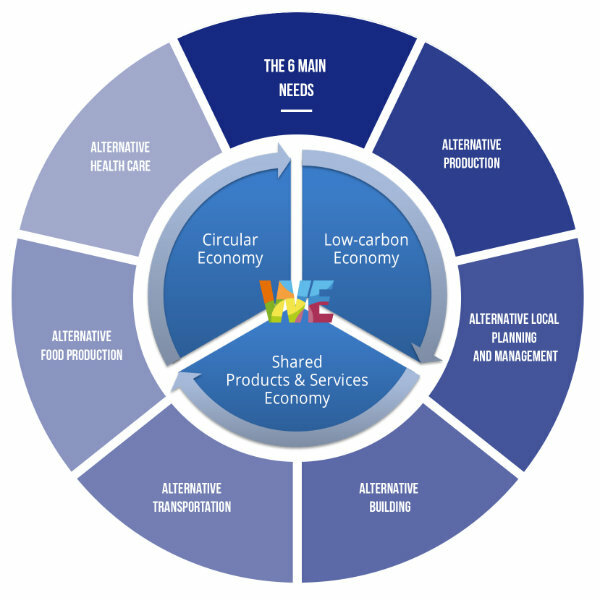 World Efficiency Solutions actually rely on the adoption of the SDGs, as well as the Paris Agreement (following the COP21), for its business development. Very notably, the SDGs as remodelled from the Millennium Goals, have put businesses as central players in the achievement of the SDGs. World Efficiency opens the way to new kinds of solutions, decentralised solutions for water and sanitation, for energy, for farming … accelerating access to basic services to remote areas. These solutions imply investment that is much more accessible than large urban infrastructures require. Responding to basic human needs (clean water, energy and electricity through local renewable sources…) will consequently have huge social impacts in many countries and areas that still face development concerns. As women are still in charge of common domestic tasks, easing access to water and energy will empower women, who will not have to struggle for their daily existence, to explore economic independent ways of life. There is scientific evidence that climate change has huge geopolitical impacts (international migrations, poverty that leads to extreme radicalism, …). Acting for the climate is not only an ecological emergency. Adaptation to climate change is the only way to prevent many social and societal threats in local contexts. Content of all the 2015 plenary sessions of World Efficiency and La Galerie des Solutions (in the latter sessions were being held in English notably by the UNEP – United Nations Environment Programme) are available. Over 100 videos are available.